Friends, I love Ten Thousand Things. Seeing a Ten Thousand Things show (in their trademark bare-bones All the Lights On style) never fails to make me happy, and often also moves or inspires or thrills me. Their newest creation Park and Lake, an original piece written by playwright in residence Kira Obolensky and the ensemble, is no exception to that. It's a light-hearted, funny, optimistic fairy tale of a story about a community of people working together to make their lives better. It's as sweet and hopeful as it is ridiculous and silly. 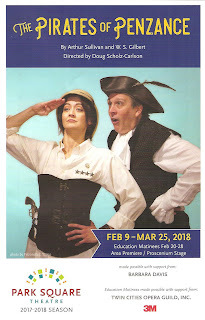 Under the co-direction of soon to be retired Artistic Director Michelle Hensley and ensemble member Luverne Seifert, with uniquely comic performances by this wonderful cast, Park and Lake is a delightful place to visit for a few hours. In fact I wish I could move there for an extended stay with these charming oddballs! I recently commented that I love two-people-sitting-in-a-room-talking kind of plays. Collected Stories is one of those plays. But rather than one long conversation, it's a series of conversations over six years in an ever changing teacher/student relationship. 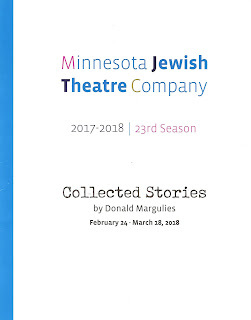 Written 20 years ago by Donald Margulies, the play does not feel dated (except in character wardrobes and phone references), but rather is a smart and thoughtful exploration of what it means to be a mentor, a mentee, and a writer of stories, yours or others. 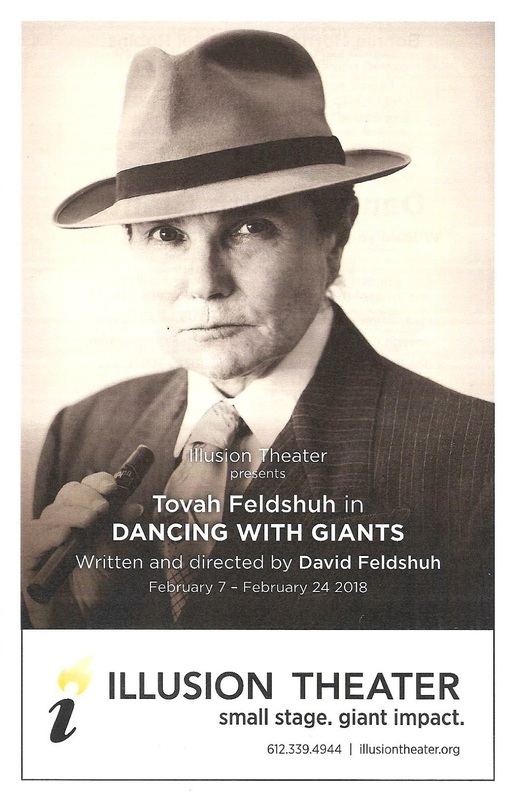 I found Minnesota Jewish Theatre Company's production, playing now through March 18, to be entertaining, engaging, and thought-provoking. Peter Pan and Alice in Wonderland are two of the most iconic characters in children's literature. 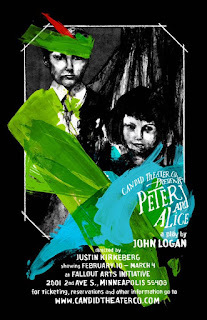 Both were inspired by real people, Peter Llewelyn Davis and Alice Liddell, who were children befriended by the authors J.M. Barrie and Lewis Carroll. One would think they'd have a lot in common, and a lot to talk about, both living their lives under the shadow of this iconic image of childhood. 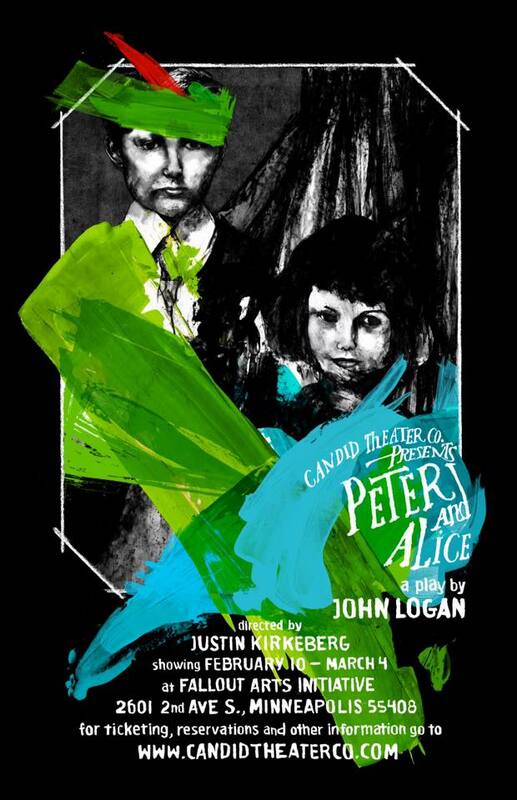 History tells us they actually did meet, and playwright John Logan imagines what their conversation was like in the play Peter and Alice. Reality, memories, and imagination all mix together to tell a moving story of the joy and pain of growing up. Candid Theatre Company's wonderful and intimate production of Peter and Alice is playing at Fallout Arts Initiative in South Minneapolis through March 4. I've learned more about boxing from #TCTheater this month that I ever knew before! 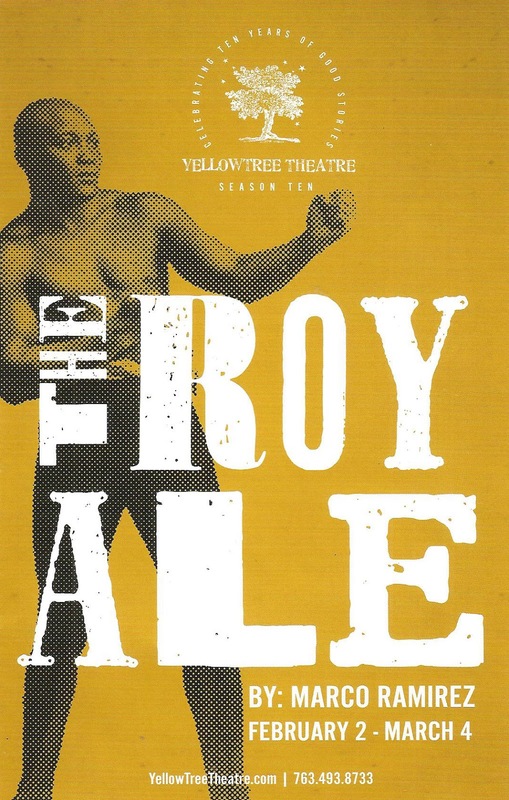 But of course, like Illusion Theater's world premiere of Dancing with Giants (closing this weekend), Yellow Tree Theatre's regional premiere of The Royale is about much more than boxing. While Dancing with Giants explored pre-WWII international politics through the story of boxers, including African American heavyweight champion Joe Louis, The Royale takes us back a few decades earlier to explore race relations right here in America through the story of Jack Johnson, the first ever African American heavyweight champion (that's way more boxing words than I ever thought I'd write). The play is sparse in length (not much more than an hour) and words, and almost feels like a dance musical in its rhythmic dialogue and graceful movement. It's a powerful and dynamic experience that flies by in no time. Friends, run don't walk to see #twomilehollow (co-production from @theatermu and @mixed_blood). I can't decide whom I love most in this cast of comic geniuses! But behind all the wackiness and humor is some seriously smart commentary on race and class in America. 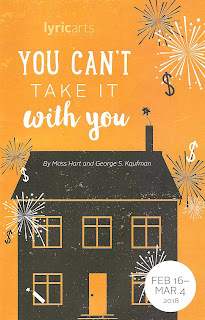 You can't take it with you. Meaning money, meaning when you die. What's the point of racking up piles of money at the expense of living? It's more important to rack up experiences and time spent doing the things you love with the people you love. At least that's the moral of the story in the classic play You Can't Take It With You, now playing at Lyric Arts Main Street Stage in Anoka. This 80-year-old play may be a little dated and old-fashioned, and I don't really see the urgency of doing this play at this moment in time. And of course, it's a privileged class of people who can contemplate giving up their high-paying job to spend more time on their hobbies. That being said, this is still a charming, funny, and uplifting play, a good way to spend an evening and a good reminder to not overlook the important things in life. Park Square Theatre's new production of the Gilbert and Sullivan classic comic operetta The Pirates of Penzance, re-imagined by director Doug Scholz-Carlson, music director Denise Prosek, and this dreamy nine-person cast, is indeed a divine emollient. But it's not just pure escapist silliness. 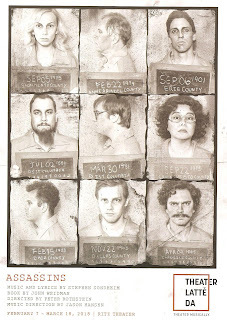 G&S, in addition to writing hilariously clever and gorgeously melodic pieces, also included more than a little social and political commentary in their work. Amidst all the humor and fun lies some insightful questioning of the society and politics of Victorian England. So it is entirely appropriate, then, that this 2018 production has been updated to include some current social and political commentary, and some of the dated concepts of the piece have been modernized. The result is a supremely entertaining musical that's refreshingly modern, while still respectful of the source, and even providing some historical context around the 1879 NYC premiere. I've been in love with The Pirates of Penzance since first seeing it at the Guthrie 14 years ago, then discovering the glorious Kevin Kline-ness of the early '80s Broadway production and movie. I've now found whole new ways to love it. Jonatha Brooke took care of her aging mother, suffering from dementia, for the last two years of her life. And because she's a singer/songwriter, she wrote some songs about it. And then she wrote some stories about it. 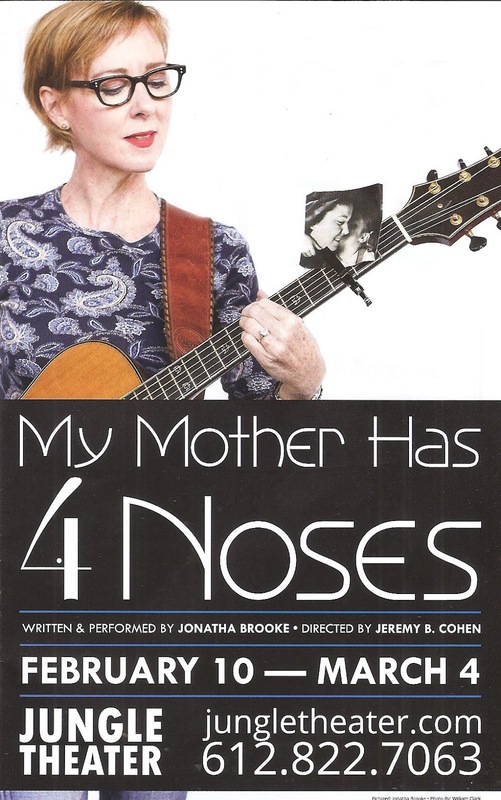 And prompted by an idea from her mother, herself an artist, she wove these stories and songs into a one-woman show called My Mother Has 4 Noses. First performed off-Broadway in 2014, just two years after her mother's death, Jonatha now brings it to the Jungle Theater in Minneapolis. 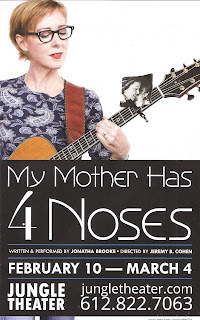 Everyone who has ever had a mother should go see this show. It's a funny, painful, moving, beautiful story of love, brilliantly and very personally told by the woman who lived it. Theater doesn't get much more real than this. 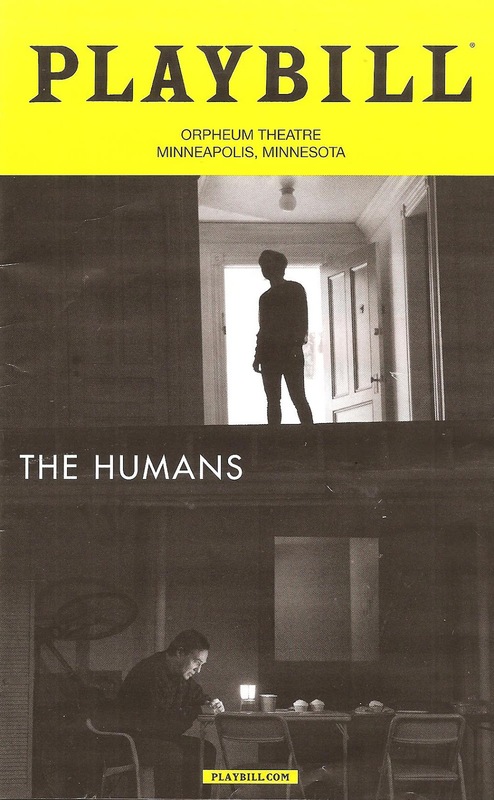 The aptly titled Tony Award-winning Broadway play The Humans is currently touring the country, stopping at Minneapolis' Orpheum Theatre for one week only. It's one of those plays where nothing really happens in the 90-ish intermissionless minutes, with the story playing out in real time. But in the nothing really happening, volumes are spoken about humanity. Playwright Stephen Karem (whose Sons of the Prophet was produced at Park Square Theatre two years ago) has written a play that sounds so realistic, with characters talking over each other just like in real life (which means sometimes you miss a line or two, just like in real life). It's truly a play about what it means to be human, with all the challenges and joy that entails. 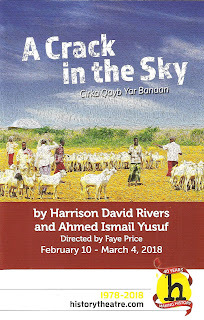 The world premiere new play A Crack in the Sky, now playing at St. Paul's History Theatre, teams up Ahmed Ismail Yusef, author of the book Somalis in Minnesota, with Playwrights' Center core writer Harrison David Rivers* to tell Ahmed's very personal and very relatable story of being a Somali immigrant in America. 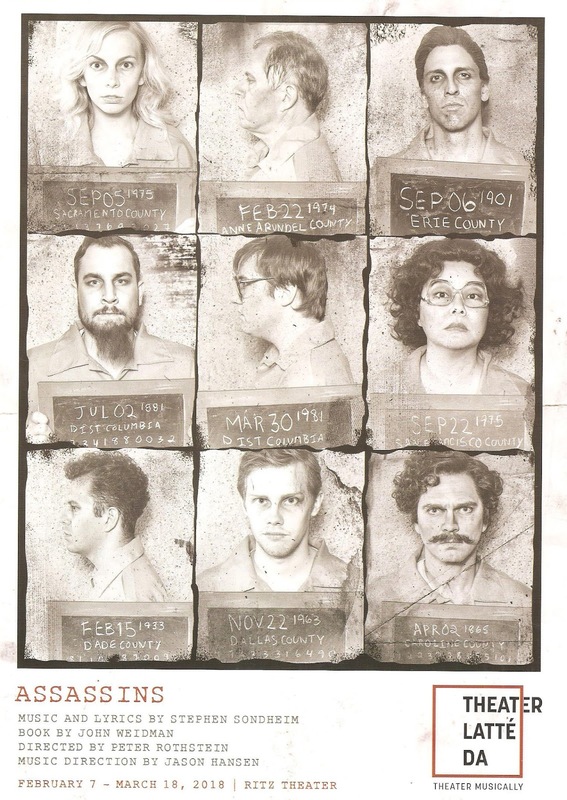 The play was workshopped and read last year as part of History Theatre's Raw Stages series, and has now come beautifully to full life in this production. It's a play that's funny and playful, short and sweet, and tells a very human story of a man striving to make a better life for himself and his family, while pursuing his love of knowledge and storytelling. 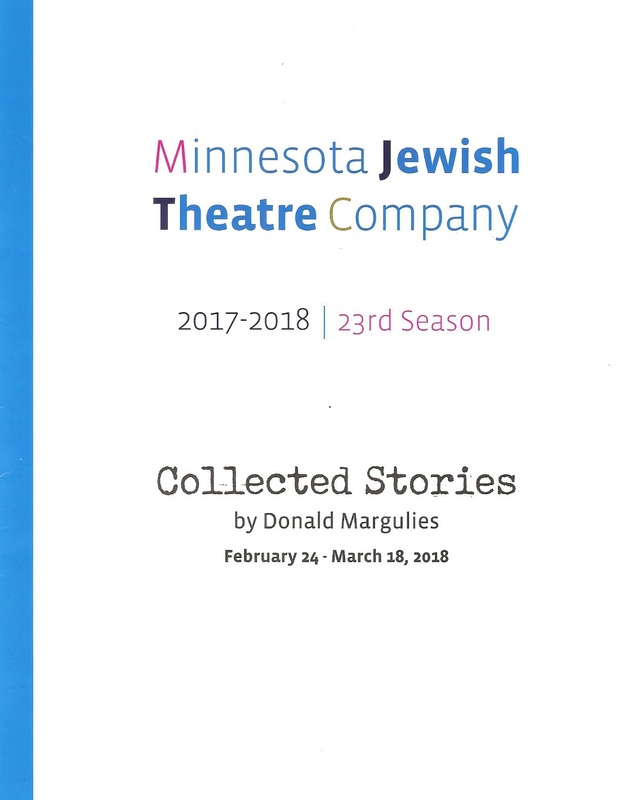 In 2017 I attended 9 readings of new works at the Playwrights' Center in Minneapolis, by far the most readings I have attended in one year since I just "discovered" them in 2016 when the Twin Cities Theater Bloggers were invited to a reading. 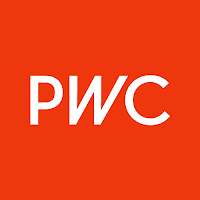 Since them I've become a little obsessed with PWC. For over 40 years they've supported thousands of playwrights in the development of their work, a vitally important function in not just the local theater community, but nationally and even globally. Attending a reading of a work of theater in development, brought to life by some of the most talented actors in town (and the country) is such a thrill for this theater geek. An important part in that development is the audience, which is where we come in, friends. Playwrights like to know how an audience responds to their play, so PWC hosts free readings all of the time. You can find information on their events page about everything going on there, but one thing you can plan on is that through the Ruth Easton Series there will be free readings of a new play (or musical) by a core writer the first Monday and Tuesday of every month from December to April. It's a wonderful sampler of the work being done at the Playwrights' Center and I highly recommend it to anyone interested in new locally created works of theater.